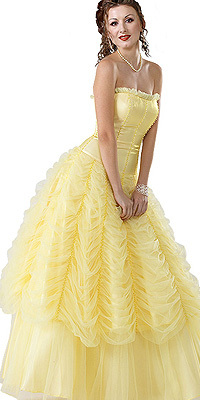 Look like a Barbie doll in this exceptionally created ball gown. 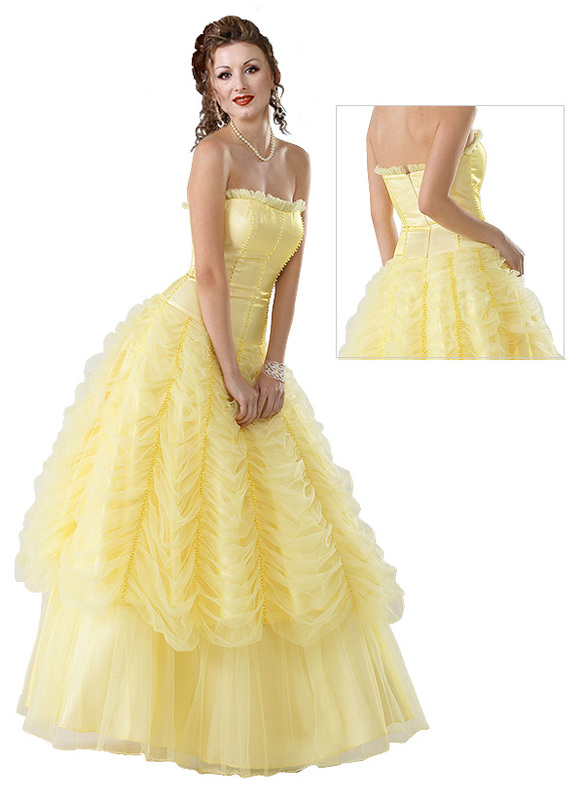 It is strapless but a bodice that is a corset. So it is very curve-kissing and the skirt has a gathered effect and also little frills. There are two layers on the skirt. The top layer has frills and the one that runs from below it is plain.